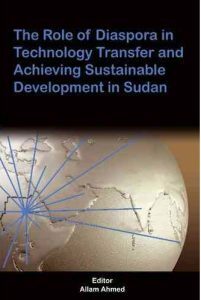 Sustainable development (SD) is a multidisciplinary process that requires the integrative engagement of all disciplines and stakeholders. Therefore, collaboration between the Diaspora and those working within the country of origin offers several opportunities and contributes to increase productivity towards sustainable and inclusive knowledge-based growth. Building constructive relationships between the Diasporas and countries of origin require that Diasporas be treated not as a mere resource, but as partners and investors with mutual benefits. 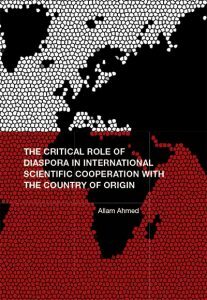 It has long been argued that Diasporas will be most interested in contributing to SD efforts when they have a sense of belonging in relation to their country of origin. Therefore it is very important to establish trust between Diasporas and governments in the country of origin. In doing so, governments need to invest in identifying their Diasporas abroad and in understanding their skills and interests. Many sustainability problems can only be tackled by connecting the diaspora with those working within the country of origin, for example combating the results of climate change, diseases such as malaria, reservation of natural resources, fighting land degradation or limiting the loss of biodiversity and many other problems. Moreover, knowledge or evidence-based policymaking is indispensable if gaps in living standards are to be narrowed. Therefore, building capacity in country of origin is necessary for competing in the global arena and there it is critical to turn the diaspora into a positive tool for SD as well as serving as role models for the youth in the country of origin. It is hoped that the conference will be a good opportunity for students, researchers, practitioners, policy-makers, knowledge managers and the public to reflect on their use and management of knowledge. New perspectives on how these can be improved to better serve their goals will be developed. The conference also aims to learn lessons from the successful communities across the world. Similar to all pervious conferences organised by WASD, the event also aims to discuss a range of questions relating to strengthening the linkages between industry, universities and research institutions as well as reconnecting these institutions to the SD discourse by exploring the role of professionals, universities and research institutions in achieving SD. WASD and SK act as a meeting platform where participants from all over the world meet each other annually to experience new ideas and cultures, travel and see new places and learn about all of the aspects of world sustainable development together with their future colleagues. Our annual conference consists of sessions of Keynote Speakers, General Assembly, Plenary Sessions, Papers Presentation and Excursions (visits and tour) in the organizing country. The objective is to create a fresh knowledge base and provide direction to all participants to effectively deal with future challenges of world sustainable development. The conference attracts large number of global experts and scholars in addition to SK members all over the world. Participants include researchers, policy makers, educators, experts, consultants and most importantly companies focused on the creation and commercialization of technology. We have organized more than 20 international conferences over the past 15 years in the Kingdom of Bahrain (2009 and 2017); United Kingdom (2003, 2004, 2009, 2009, 2013, 2015, and 2016); Turkey (2015); Canada (2014); United Arab Emirates (2005 and 2012); United States (2011); St Lucia (2010); Australia (2007); and Italy (2006). For more details watch presentations from WASD’s previous diaspora conferences.